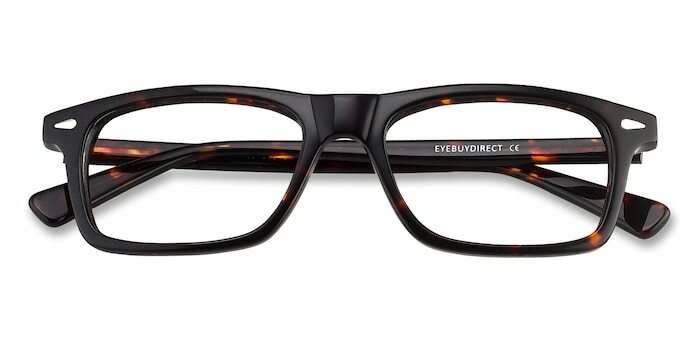 These tortoise eyeglasses are stylish and resourceful. 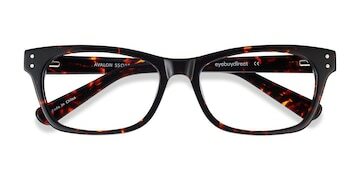 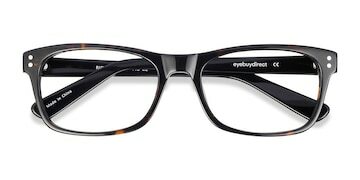 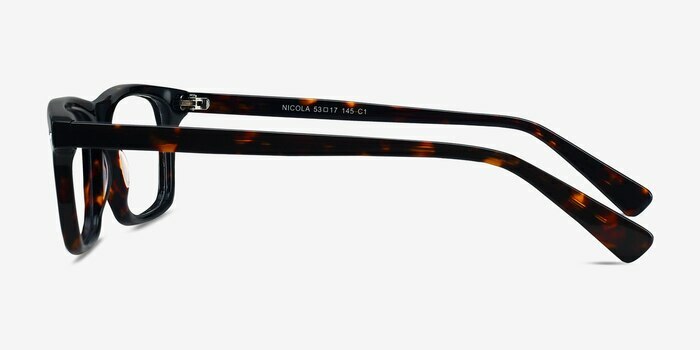 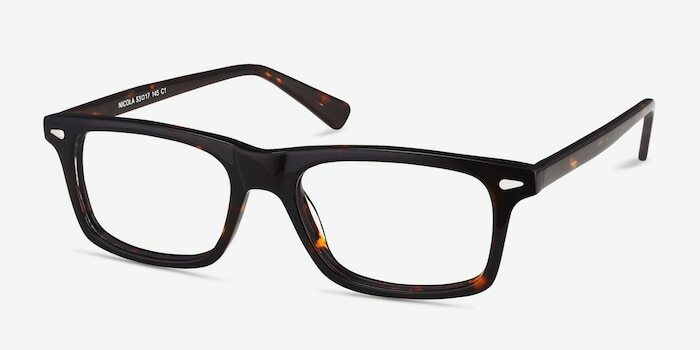 This full plastic frame comes in a glossy honey flecked tortoiseshell finish with universally flattering rectangular shaped lenses and silver corner accents. 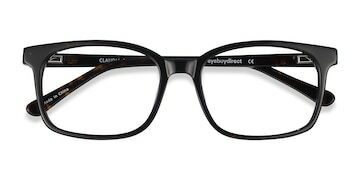 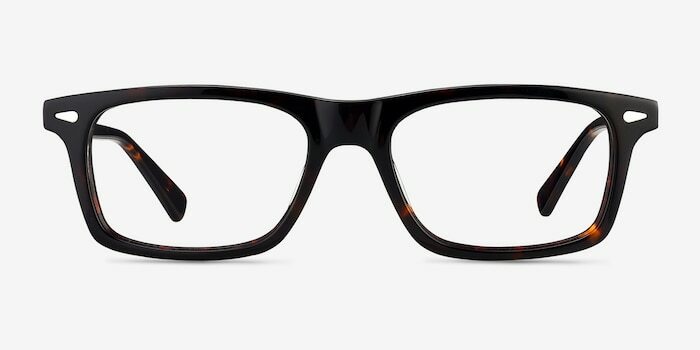 The temples are slender and complement this classic look.